First ever On Fire fundraising Beer Pong Tournament! 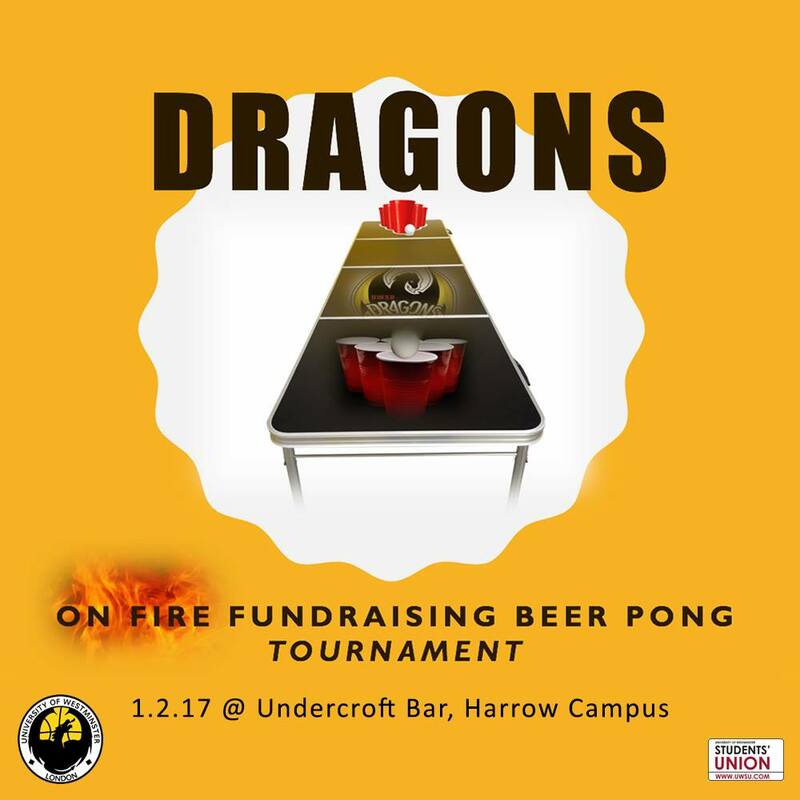 UWSU Men’s Basketball are hosting the first ever On Fire fundraising Beer Pong Tournament at Harrow Campus in The Undercroft directly following one of our BIGGEST games of the season against Kent this Wednesday February 1st. After the game join us in The Undercroft from 7-10pm for a great opportunity to network with students and members of the UWSU Dragons! The fundraiser mean a lot to us and if you make it out we would be really grateful. The crowd sets the pace for the rest of the year. We would love to welcome in 2017 together and finish the night strong with the rest of the University of Westminster Dragons!!! University of Westminster Students’ Union (UWSU)! !